Guardiola to make late decision on Silva for Palace trip - SABC News - Breaking news, special reports, world, business, sport coverage of all South African current events. Africa's news leader. 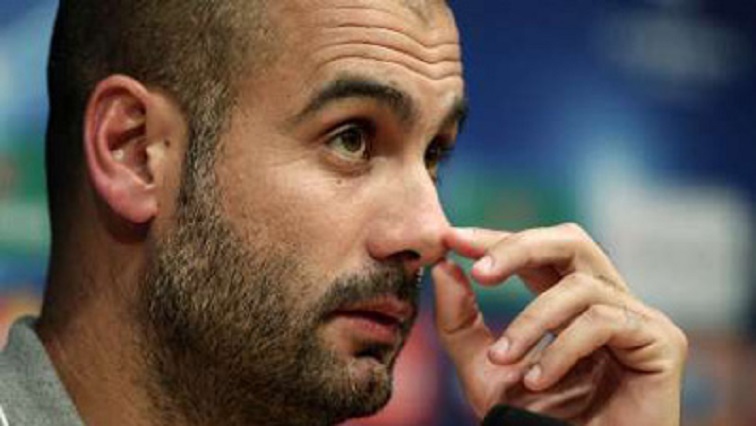 [File Image] Manchester City manager Pep Guardiola during a media briefing. Manchester City linchpin Bernardo Silva faces a late fitness test before Sunday’s Premier League trip to Crystal Palace, his manager Pep Guardiola said on Friday. The Portuguese international has emerged as one of City’s most important players this season, plugging gaps in midfield and wide attacking roles to help drive forward the club’s unprecedented bid for quadruple honours. He was on the sidelines for City’s Champions League quarter-final first leg defeat to Tottenham Hotspur on Tuesday with a muscle injury. “Bernardo Silva is an incredible player,” Guardiola added. This entry was posted on 13 Apr 2019,11:00AM at 11:00 AM and is filed under Sport, Homepage Featured Story Slider. You can follow any responses to this entry through the RSS 2.0 feed. Both comments and pings are currently closed.